Many people ask us what would make a good CCENT or CCNA R&S 200-125 lab? In this article we will cover how to build an effective CCNA lab. Please do not skip any of this information, as it is all very important for you to understand so you get the most value for your money in purchasing your kit. It is well worth spending 15 minutes reading these articles to avoid making a $500 mistake! So let’s start off with a basic concept that I hope we can all agree on. Real Routers & Switches are required for your CCNA Routing & Switching Lab! You need a physical router as the simulators just don’t have the ability to give you the hands on experience you need to see what happens when you disconnect a cable, put a cable in the wrong location or just plain configure the interface incorrectly. Dependent on what you do by mistake, you may see either the interface or protocol go down and based upon that it should give you a clue of where to start troubleshooting(hint, what layer is the interface at and what layer is the protocol at?). Anyway, you will come to find quite quickly that mistakes you make on Router 1 are affecting Router 4 all because you did not screw in a cable properly. No simulator can simulate that, so real routers and switches are invaluable. We really suggest you read through this entire article from top to bottom to understand how to build a proper lab for your CCENT & CCNA studies. What Are Some Things I Need To Consider For My Cisco CCNA Lab? First is Cisco made the CCNA 200-125 exam quite a bit harder than the CCNA 640-802 exam. Cisco wants to make sure you really know your stuff on this exam. Basically they moved about 80% of the old CCNA 640-802 exam topics into the new ICND1 100-101 exam. Then they dropped a few concepts such as wireless and voice as they now have the CCNA Wireless and CCNA Voice specific exams and added a lot more troubleshooting to the CCNA Routing & Switching 200-125 exam. So what does that mean to you? The days of having a high level understanding of what is happening and passing the exam are gone. You need to practice on more complex setups and really understand what is happening first hand. That is why when we revised our lab workbook. We made it much more complex and explain the concepts in detail as you do each lab. How Many Routers Do I Need for my Cisco CCNA Lab? Two routers are the bare minimum to see if anything works. If you have a very limited budget, you can still receive value from only purchasing a single router over working with a simulator. However, with a single router you will not be able to see the main thing we are trying to accomplish; the propagation of route tables and the routing of data! The only way you can see if your configurations really work is to have at least two routers. Therefore, I strongly recommend that you purchase at least a dual router kit. But if you want the best experience, you will want to go with a three router kit. So let’s review this in a little more detail of what each scenario will provide to you. One router will give you the ability to run the commands on it and will allow you to memorize the correct syntax and context in which to run the commands. Two routers will allow you to be able to see route table information propagate, data propagation and path election. In addition, you will see basic device elections. Three or more routers and you will get all of the above, more complex topologies and full device elections. Ok, so we say we suggest three routers and you see what we wrote above, but it just is not clicking why you need three routers as maybe you heard somewhere else two routers is all you need. Well let’s go into a little more depth and take a look at the slide below. In this slide from our study guide, you see a topology with three routers. Let’s say we need to ensure R2 is your DR (designated router). If we just have two routers, we can simply set the priority of R1 to zero which will make that router ineligible to be a DR. So then R2 would be the DR by default. 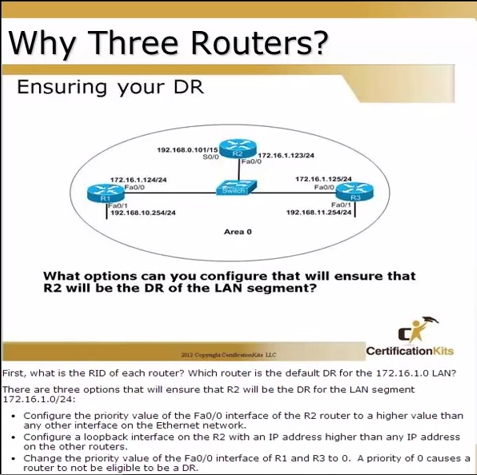 But if we add a third router, then we don’t know if the DR will be R2 or R3. More than likely most companies you will work at will have more than two routers, right? So now you can see that we are going to have to do multiple configurations to influence which router is the DR in the more complex topology. So in this scenario, we need to increase the priority of R2 and leave R3 at its default priority to accomplish our goal. So hopefully now you can start to see why three routers are critical to really hammering home some of the CCNA concepts. So let’s review another scenario below of why you need three routers in your CCENT/CCNA lab. 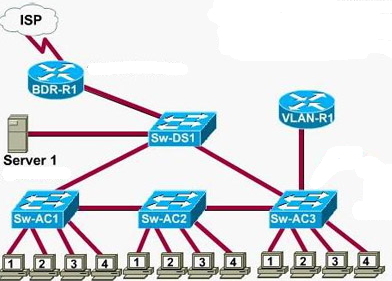 You will see that the lab topology(this is from our lab workbook) on the top has two load balanced WAN links (the two lighting bolts), a subnet off of R1 and R3 where the computers are and from R2 we have multiple paths to get to any of the subnets at the top portion of the topology. Now compare that to the simple two router lab below it and see that it does not have load balancing, no multiple paths, no ability to set different costs on the links and obviously the route tables are not as complex. So a quick scenario. Let’s say one of the WAN links was configured super fast and the other one was a super slow WAN link. You are at the computer off of R3 and you are communicating with a server off of R1. The super fast WAN link goes down. What will your path be to the server off R1? Will the data travel across two routers traversing a super slow WAN link or traverse 3 routers utilizing fast links? Good question, huh? Now which lab topology do you think will give you a better learning experience? Do I Need A Switch & If So, How Many? If you would have asked me this question 9 years ago I would have replied the exam is 80% routing and you can memorize the little bit of switching that is on the exam. But with the recent 200-125 changes, inter-vlan routing is hit very heavy on the exam in various scenario questions. So if you can afford it, yes, switches are required. With only a small margin of error between passing and failing, not fully understanding switching concepts such as VLANs, STP, and root elections could be the one question that stands between you passing and failing your exam. There will be some switch questions which are memorization based such as “What is a Layer 2 protocol used to maintain a loop-free network”? Thank goodness we memorized STP. That said, it would be nice for us to be able to actually see the switching concepts work. So similar to our router review, this is what you will get with the corresponding number of switches. One switch will give you the ability to run the commands on the switch and allow you to memorize the correct syntax and context in which to run the commands. It will also allow you to do some of the VLAN labs. Two switches will allow you to see VTP Domain & VLAN information propagate. In addition, you will see basic device elections. Three or more switches you will get all of the above and full device elections. Again, you may have heard that you only need two switches in your CCNA lab. Yes, you can get by. But you want to know this information inside and out. So three switches will give you the best learning experience. Let me prove it again. Wow, there is a lot of information on this slide. Spanning Tree Protocol is used to eliminate loops in our network, as loops are bad. So how can we determine which switch will be the Root Bridge? In general, it is based on the MAC address of the devices but it can be influenced by changing the priority on one or all of the devices. When a Root Bridge is elected, it is as if everything in the world will revolve around the Root Bridge. That dictates then which ports on the other switches are root ports, designated ports and non-designated ports. If also then impacts the states of the ports. So if the Root Bridge changes from Switch C to Switch B, then each port will change to a different type of port and state. Now we will have to figure everything out again from scratch. You might not fully understand this now, but by practicing with three switches in a complex topology such as this CCNA lab, you definitely will have a much deeper understanding of the technology at hand. Hopefully this example has fully convinced you of the value of a CCNA lab with three switches. Sill not convinced you should have three switches in your CCNA lab? Well then maybe my final point will sway you. The topology in the diagram below is similar to what appeared on a previous version of the CCNA exam. 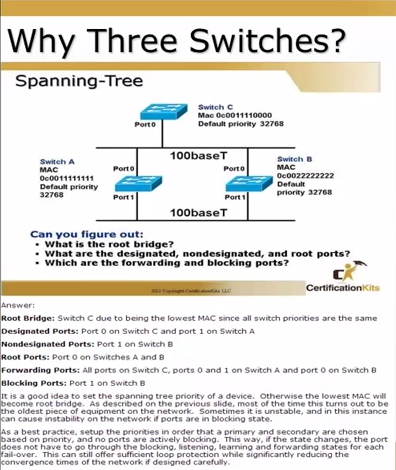 So if Cisco can use multiple switches in the lab questions on the exam, don’t you want to practice on scenarios similar to what you might see on your CCNA exam? How Many Cisco Routers & Cisco Switches Do I Need To Complete Your CCNA R&S 200-125 Lab Workbook? Our CCNA Lab Workbook has been recently updated for the new CCNA exam and was designed with the knowledge that most of our customers can’t afford a large lab. We wrote our Lab Workbook to the specification of three routers and three switches. In a perfect world you will have three 1941 and/or 2811 routers, HWIC-1T and/or WIC-2a/s modules, and three 2960-TT/LT plus the associated cables. 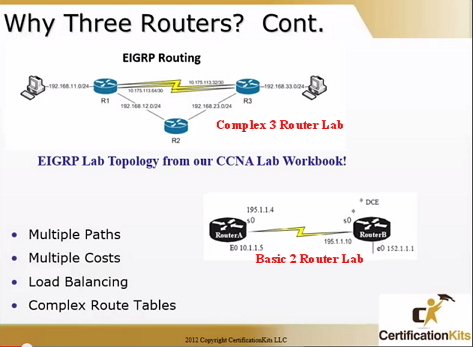 Does that mean that you can’t complete the labs if you only have two routers or two switches in your lab? No, it just means for the most part those labs will not be as complex as they could be and you won’t see any many routes propagate. But you still should fully understand the concept which is being presented. Now you can review the above link for our Lab Workbook R&S 200-125 to see all the topics covered. A physical copy of the Lab Workbook along with an incredible bundle of our other CCNA material is included with all of our kits. Note in the topology diagram below how complex we make our labs. These are not straight forward two link setups. We include redundancy, multiple subnets and explain it all in great detail. There is no other CCNA book out there that is even close to what we have created! 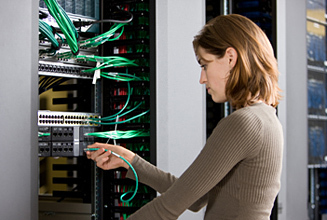 Accordingly we are the premier CCNA lab supplier with support second to none! Click on the topology picture to see a PDF of the sample lab. This is why we really suggest three 1941 and/or 2811 routers in your lab as we use every single interface and hit heavy on advanced OSPF, advanced EIGRP, EtherChannels, Load Balancing, etc. How Do I Know What Routers & Switches I Need In My CCNA Lab? What Three Routers Do I Need In My CCNA Lab? One router with dual Ethernet interfaces to do your NAT/PAT labs. We suggest the 1841, 2811, or 1941 as these routers can do this and also get you exposure to IOS 15, inter-VLAN routing, etc. at the same time, saving you money. One router with two serial ports to establish links to the other two routers. Notice how I mentioned these are the bare minimums. In a perfect world with no budget restrictions we would advise you to get three 1941 routers and three 2960-LT/TT switches. But that is not always realistic from a budget perspective. Also it is ok if one router does double duty. An example is you may have a 2811 that is your NAT/PAT router and also the FastEthernet device for your inter-VLAN routing labs. We know with all the options out there, this can be a bit confusing which is why we have pre-configured many of our CCNA Lab kits to already have these features balanced giving you the best bang for the buck. There is no reason for you to guess and make a couple hundred dollar mistake. But even if you do, you can user our Trade-Up Program to get 100% credit for your device. If you have questions, please use the Contact Us link in the upper right to send us an email as we welcome questions. How Do I Know What Interfaces & Options Are Available On A Router? Now choices, choices, choices. Which router do I pick? Well, we have many choices which I will list below with some pros and cons to each. I will also include a table at the end of this document to visually aid you in seeing the features of each router. I suggest no matter which router you get, you max out the DRAM and Flash so you can run the most full featured IOS available for that model. The 1760s at 96/32 are fine to run 12.4, the 1841 routers, although not maxed out are more than sufficient at 256MB DRAM and 64MB Flash as are the 2800 series routers so they can run IOS 15. Cisco 800 Series Routers These are not good lab routers as they do not have traditional serial ports to connect them to other routers in a lab environment. Cisco 1720/50 Series Routers These are now throw away routers due to changes in the CCNA and price drops on other models that give a lot more functionality for the buck. Cisco 1760 Series Routers This is a good low cost router that is a traditional rack mount router unlike the other 1700 series routers. This 100mb FastEthernet router will also run IOS 12.4 and has four WIC slots, which is a bonus. We have recently retired these from our standard stock, but they can still be used to for propagating routes, etc. At this point these are no longer great CCNA routers. They had their run for almost 17 years as a staple of CCNA labs. But their time has passed. 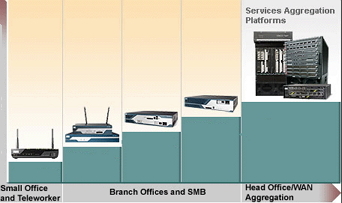 The only 2500s that have significant value these days are the 2509 and 2511 access server routers. Cisco 2509 Router This is your 8 port terminal server/access server. You can remote access 8 devices from this unit. You will need one octal cable or 8 rollover cables. Cisco 2511 Router This is your 16 port terminal server/access server. You can remote access 16 devices from this unit. You will need two octal cables or 16 rollover cables. These routers only support up to IOS 12.3. They are modular routers which means you have to add WIC or NM modules to them to provide additional functionality. The 10mb versions of these routers are not really worth spending the money on when for the same price you can get a 100mb version. The 100mb versions are not as good a value as the XM version as the XM version supports 12.4. We have also recently retired these from our standard stock, but they can still be used to for propagating routes, etc. Cisco 2610 Router This is a 10mb Ethernet router. I would stay away from this router for current exam topics. Cisco 2611 Router This router is dual 10mb Ethernet. I would stay away from this router for current exam topics. Cisco 2620 Router This is a 100mb router. But for a few extra dollars I would get an 2600XM series router to support 12.4. I would stay away from this router for current exam topics. Cisco 2621 Router This is a dual 100mb Ethernet router. I would pay the few extra dollars for a 2611XM, 1841, 2801 or 2811 over this router so you get at least 12.4 IOS support. I would stay away from this router for current exam topics. The advantage to these routers over the plain 2600 series is they are all 100mb routers so they can support inter-vlan routing and they support 12.4 and thus Advanced IP IOS. We have noted the features of each model below. I would stay away from this router for current exam topics. Cisco 2610XM & 2620XM Router This is a single FastEthernet router. I would stay away from this router for current exam topics. Cisco 2611XM & 2621XM Router This is a dual FastEthernet router and being a dual FastEthernet rotuer, you can also use it for your NAT/PAT labs. I would stay away from this router for current exam topics. Cisco 2801 256/64 Router This is a 15.1(4) IOS ISR router for your CCNA Routing & Switching, CCNP & CCIE exams that supports MPLS(multi-protocol label switching). This router has a bonus over the 1841 router in that is has four interface slots versus the two of the 1841 and can support voice vwics and PVDMs in-case you ever decide you want to go down the Voice path as the 1841 will not support Voice. Cisco 2811 256/128 Router This is what we consider to be the best bang for your buck for an 15.1(4) IOS ISR router and will give you the most capability for your money for your CCNA 200-125 exam. It is great for CCNA Routing & Switching, CCNP & and the CCIE exams that supports MPLS(multi-protocol label switching). This router has a bonus over the 1841 router in that is has four interface slots versus the two of the 1841 and can support voice VWICs and PVDMs in case you ever decide you want to go down the Voice path as the 1841 will not support Voice. Cisco 1941 512/256 Router This router with the base license is the exact router for the CCNA 200-125 exam. It runs IOS 155-3 and has two gigabit ports. It is also the exact router for the new CCNA Security 210-260 exam if you add the Security license to it. Please feel feel to use the Contact Us form if you are interested or need more information on this. Also, please note that this model router is not compatible with WIC cards and will require HWIC cards instead. If you would like to explore CCNA Voice, you really should have two of these. One for the Headquarters location and one for your branch location. Cisco 3620 Router This is now basically a throw away router. * These routers require a NM-2V or similar module to support Voice modules. These are for an older version of CME so they are not recommended. **The 2800 series WIC/VWIC slots can support multiple features so you will see more slots identified than are actually on the router. Now everyone wants to run the latest version of IOS (remember, not every unit has to run 15.1(4) but it doesn’t hurt), but are sometimes disappointed if they already purchased a router and they find out it can’t support IOS 15 or some of the features they want to run like IPv6 or CCP. * The 2801 only needs 256/64 to run IOS 15 IP Base. But the preferred IOS is Advanced IP Services which requires 256/128. Ok, let’s start off with the IOS version column. As you can see above, the 2600 non-XM models only support 12.3 whereas the Cisco 2600XM and 1760 units support 12.4 while the 1841 and 2800 series routers support 15.x. So if you want to have exposure the latest IOS that is running on routers in the real world, right now that is 15.x and the Cisco 1841 and 2800 series routers are the most economical choice. But if your budget does not allow for it, you will still find value in the routers that are running the older 12.3 IOS and 12.4 IOS as many of the commands and functionality are there. Now let’s review the IPv6 column. IPv6 is a big part of the CCENT 100-105/200-105 and CCNA 200-125 exam. So you really want routers that support IPv6, if you can afford them. You also will need all of the routers to support IPv6 if you want proper data communications. Note that if you get a 1841 or 2801 router, they only require 128/32 to run 12.4 and IPv6, but to run 15.1(4) and IPv6 they require 256/64 and 384/128 respectively to run Advanced IP Services. *Gotcha note: They technically can run IOS 15 and support IPv6 on less DRAM and Flash, but then they will be running IP Base which does not cover all the exam commands. The 2811 and 2821 routers require 256/128 to do Advanced IP Services or Advanced Enterprise on IOS 15 and IOS 15 IP base supporting IPv6 is only 256/64. Finally, you will also notice I mentioned the requirements for CCP too. CCP is Cisco’s Cisco Configuration Professional and is the GUI option to configure your routers. It is not supported on some of the older models. But the good news from a lab perspective is that you do not need it on every router to get a good grasp on how CCP works. The Cisco 1841 or 2800 Series is the cheapest way to get a router that supports 15.1(4) and CCP. Now that said, as mentioned previously, Cisco does not have CCP on the CCNA R&S 200-125 blueprint. It is likely something that you may encounter in the field, so you are probably going to need it sooner or later. All that said, we highly suggest that you have at least one 1841 or 2800 series router in your lab. What Switch Should I Get? This is one that there is so much debate on these days. I will give you my thoughts on it and there are a hundred different ways you can build a lab. I will give you the information and let you decide how you want to build your lab. The Cisco 2960-TT/LT switch has the exact IOS command set that you will see on the exam as per Cisco. But Cisco suggests this switch because they want to suggest a switch because it is fairly recent and one you will more than likely see in the real world. Now I want to spend a little bit of time and explain some differences between some of the 2950 switch models and what it means to you and your CCNA studies. There is the standard 2950 which is going to cover 95% of the commands you can see on the exam. But some students are aware that there are a couple of commands such as Enhanced QoS, 802.1s MISTP(Multiple Instance Spanning Tree Protocol) and 802.1w RSTP(Rapid Spanning Tree Protocol) that are only supported on the Enhanced Image version of the 2950. So if you want to run those few commands, you will need to upgrade your 2950 to a 2950C(which is available as an inexpensive upgrade on our kits), 2950G or a 2950T unit. Just ask us about it and we can get you setup with them. (Please note that with the current CCNA exam, we have retired the 2950 switch. So, ALL of our kits will have at least the 2960-TT as the base switch). As I did with the routers above, I have also included a brief description of each of the common switches and created a feature chart below to help you make your Cisco switch selection. Cisco 1912 or 1924 Switch with Enterprise Software. These switches are no longer relevant to the exam. Cisco 2912, 2916 or 2924 Switch with Enterprise Software These switches are no longer relevant to the exam. Cisco 2950 Switch This is the switch that most people target to run all the CCNA 200-125 exam commands. The normal 2950 runs Standard Image and the 2905C, 2950T and 2950G units run the Enhanced Image. This gives you access to a couple more commands. The current 200-125 CCNA exam now suggests the 2960-TT switch. So, we have retired the 2950 switches from our offerings. Cisco 2960-S Switch This model of the 2960 can only run IOS LanLite image, which has limited capability in comparison. For this reason, the 2960-TT, which offers the full featured IOS 15, is at least the base switch in all of our kits. Cisco 2960-TT/LT Switch This is the switch that Cisco states covers the exam topics for the CCNA. 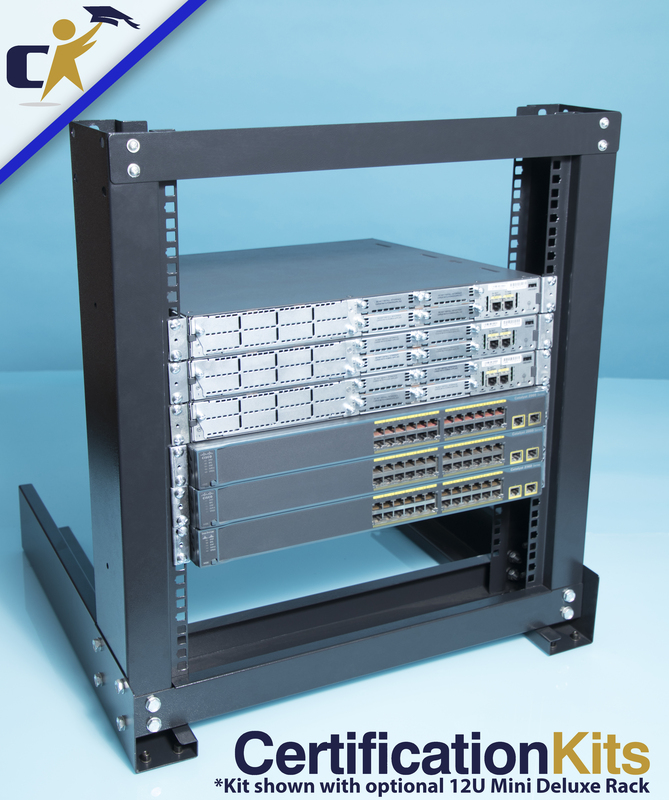 Given the price decrease as of late on this model, it is a switch that we can offer instead of the 2950 and 2960-S series at the same price and it will be perfect for your CCNA, CCNA Security, and even half of your CCNP exams. This switch also does static Layer 3 switching which the 2950 does not. It also supports a few more QoS features and is on IOS 15. Cisco 3550 Switch This switch is really cool and is used to a large degree in CCNP labs. It is a switch that does Layer 3 routing built into it. It may not make sense right now that a switch does routing, but it will before you know it! The down side of this switch is that it is only IOS 12 capable, however it is still the cheapest layer 3 switch available. Also, check out the PoE model if you want to explore that capability. Cisco 3560-TS Switch This is a new one on the block that adds a few more features that the 3550 and 2960-TT do not. It supports such features as enhanced QoS, PVLANs and more. This is a staple of the better CCNA, CCNP and CCIE labs. It is also a true, dyamic layer 3 switch and is on IOS 15. That brings us to a few caveats on the 3500 series switches. The 3512, 3524 and 3548 are not Layer 3 switches like the 3550, 3560 and 3750v2 series. They are Layer 2 and they do not follow all the command syntax that the 2950 and 2960 switches do. So we suggest you stay away from those models. Also, please note that there is a standard 3750 switch series. We do not offer this because, believe it or not, it is only an IOS 12 capable device. The 3750v2 switch is a much better option and much more inline with current Cisco requirements. If you have a 2500 series access server, make sure you have a transceiver with it so you can covert the Ethernet AUI port to RJ-45 Ethernet. WIC-1DSU-T1 – A WIC card with a single RJ-45 style serial port. These are the V1 models and not compatible with the 1841 or better routers. If you have older routers such as 2611XM or 1760, this is the serial card you would need. WIC-1DSU-T1-V1– This is the V2 of the -1DSU-T1 model WIC cards. Once again, this has a single RJ-45 style port except the V2 model is compatible with the 1841,2801, 2811, and 2821. These are the base card for most of our kits unless you choose to upgrade to smart serial cards. You can find more information on that upgrade in the description of any kit. HWIC-1DSU-T1 – These are the RJ-45 serial card that is compatible with the 1941 and 2911 routers. They are the base offering and can once again be upgraded to the smart serial versions if you choose to select that option. WIC-1T – A WIC card with a single DB60 serial port. This module can go into any of the modular routers. NM-4A/S – A NM module that has 4 DB60 serial ports. The DB60 serial port is also built into the 2500 series routers as you can see from our table above. You will generally see a combination of the above modules/routers used together with DB60 DTE/DCE back to back serial cable to simulate a WAN link between two offices. WIC-2T or WIC-2a/s – A card with two Smart Serial ports. Generally these are used with a smart serial to smart serial DTE/DCE back to back cable between these modules. This module can go into any of the modular routers. The primary difference between these is that the WIC-2T has faster speeds than the WIC-2a/s, but this won’t affect anything significant for lab purposes. HWIC-1T – A card with one smart serial port similar to the WIC-2T. These are only and required for the 1941 routers. HWIC-2A/S – Another card that is compatible with the 1941 routers but will give you two smart serial ports instead of one. DB60 to Smart Serial Cable – If you have a mix of DB60 and smart serial interfaces, you can use this cable. You just have to order the DCE side on the interface type you want to serve up clocking. We left this part to the end on purpose. We will cover here the use of WIC-1DSU-T1 serial modules. This is not a traditional module like the ones above but is used to keep the cost down in smaller labs. The drawback to them is that they do not scale easily to larger labs which can have 4 or 10 serial ports on a single device. When using these modules you will have a special WIC-1DSU-T1 crossover cable and the commands will not be 100% the same as in the lab workbooks as the other units. But our lab workbooks explain how and why. Ethernet Crossover Cables – We put these in our labs to make them more complex by sometimes connecting like type devices. Make sure your kit comes with them! No More Guess-Work! We Offer Pre-Designed Recommended Lab Kits That Make it easy to Match Your Budget To The Perfect Kit For Your Goals! We have built an entire range of kits where our techs have done all of the work for you. We have kits pre-designed for all of the primary exams which takes out all of the guess work. These are available on our recommended lab kit page. These are basically sorted by exam and start with a very budget friendly option and move up in capability and price from there. Regardless of what your budget is, you can be assured that any of these kits are going to give you the best value for your money at each price point and a great hands on experience. Always feel free to let us know if we can help guide you through these at any time. We are very responsive to messages and you might be surprised how quickly we get back to you with any questions you may have! Don’t See a Perfect Match To What You Were Looking For? Remember, we can customize any kit to whatever specifications or devices that you want! For example, if you really like the Cisco 200-125 Premium Kit, but maybe you want to upgrade one of the standard 2960-TT switches to a 3560-TS so you can go the extra mile and start exploring dynamic layer 3 technologies. All you have to do is let us know and we can absolutely help you with that. We can even special order just about any device, card, module, etc. you may want, even if it isn’t part of our standard stock. Also, we have an entire range of customizable lab kits and if you feel like you have a strong grasp on everything, we offer a Build Your Own Kit option that gives you full control over the number and model of everything in your kit. Can We Build A Cisco Lab That Will Cover Every Single CCNA Routing & Switching 200-125 Exam Concept? We get this question quite often. Yes we can. In fact we actually have pre-designed kits that are exact matches to the current recommended devices to do every single command on our professional series page. These are always your “best case scenario” lab kits, but not always budget friendly for your everyday student. These labs are usually targeted by the highly ambitious student, businesses, working professionals, and schools. So, if these are way out of your budget, don’t let that intimidate you, as you can still get an absolutely stellar experience with any level kit at any budget. How you build that kit really depends on what you intend to do after you pass your CCNA exam so it can be a bit tricky. I will try to cover the three most common scenarios. 1) You simply want the cheapest kit to pass the CCNA exam that covers all of the exam objectives and that is all you are worried about. Then we would suggest this CCNA Lab Kit and select one 1841 256/64 or better so you can have routers that run 15.1(4) IOS. The base switch is already the suggested model by Cisco, so you are already all set there. 2) You want to pass the CCNA exam and then you are going directly to CCNA Security. You can handle this one of two ways. The best way is to buy our Premium CCNA 200-125 & CCNA Security 210-260 Combo Lab Kit. The second is that you are about $250 short in budget of that kit and you want to get the CCNA portion now and the CCNA Security portion of it later. In that case, you could look at our CCNA & CCNA Security Standard Combo Kit, which takes the ASA out of the kit. Without the ASA, you will still have a great CCNA experience, be primed for security, and can pick up the ASA when you are ready for the CCNA Security curriculum. Please use the Contact Us form at the top right of the page and we will be more than happy to help you approach this. 3) The third scenario that is requested is again you want to cover all the CCNA objectives and then you are going directly to CCNP. In this case, we need to ask you a few more questions and encourage you to use the Contact Us form to make sure we get you the best solution tailored to you and your career objectives. What is different with your kits versus any other group of routers and switches called a kit? First, our recommended kits are designed to make sure you get the most bang for your buck at each price point to fit any budget. We do this by making sure you have at least one router that covers as many features on the exam where possible. So simply giving you five 1760 routers and calling it a CCNP kit does not make it a CCNP kit. It is all about the proper selection of devices that match up to your lab topology. We make sure your kit matches up to our lab topology as we wrote the most complex CCNA 200-125 lab workbook out there, so you will understand complex scenarios. Gone are the days of a simple daisy chained CCNA lab with only two subnets. Many of our labs have 6 or more subnets to simulate complex, real world scenarios you will see on the exam. By completely understanding our advanced setups (which requires more cables and modules), you are sure to pass your CCNA 200-125 exam. In addition, we include all of our study materials such as the aforementioned lab workbook, our “How To Subnet Workbook” with 100 pages of instruction and over 100 practice questions, our six page, fold out, laminated color CRAM sheet, TCP/IP poster, our CCNA test engine with flash cards, instructional videos and so much more! Do I Need an Access Server/Terminal Server? The name access server or terminal server is actually a little misleading. It is not a server in the traditional sense that you might expect like a Intel based Windows or Linux server. It is a router that has 8, 16 or 32 Async ports which are used to connect to other devices through the console ports. The advantage of an access server is that they are the only means to which you can remotely reboot a device and stay connected to it. An example of this is if you needed to upgrade a router in a remote office. This functionality is not really covered on the CCNA 200-125 exam so it is not an absolute requirement if your budget is tight. However it is a real world skill you will need and it comes in handy in your lab so you do not have to keep moving the console cable from router to router to router every time you want to run a command on another device especially when you have a larger CCNA, CCNP or CCIE lab. No problem! Doing double duty as a CCNA and CCNA Security kit is one of the least expensive approaches to get multiple certifications with one lab kit! Here is what you do, you can take a look at our recommended CCNA Security Kits here. They will cover all the CCNA concepts, easily upgrade to a CCNA Security, and/or cover both exams. You will note that we have two options there. The first is the standard kit. This kit is if you are a bit tight on cash now and you want a kit so you have a top of the line CCNA kit now that can be turned into a CCNA Security kit by simply adding the ASA 5505 and CCNA Security lab workbook once you saved up a few more bucks and passed your CCNA exams. The second kit is our Premium CCNA Security kit. It has the ASA already included so as soon as you are done your CCNA exam you can simply continue on to your CCNA Security exam without any further delay. As a nice bonus, you can use the ASA on your home network and you will have a real ASA at your Internet presence just like a real company! Ok, this one is a little trickier than the CCNA to CCNA Security kit upgrades. We can suggest one of two approaches. The first is if you are tight on cash and you are going to take the two step approach. What you can do is get your CCNA base kit first. You can get our three router and three switch kit and customize it which you can see here; Customizable CCNA Three Router & Three Switch Lab Kit. if you are going to want to emulate our top of the line Premium CCNA Voice kit, what you will want to do is to upgrade two of the routers to 2811 512/128 routers. You can leave the third router at the default router. Now this kit will allow you to exercise the concepts and features that are on the CCNA exam. Then once you pass your CCNA exam, contact us and we can let you know what the additional items are that you can add to your base kit to make it a complete Premium CCNA Voice Lab kit. The second Premium CCNA Voice approach is to purchase the Premium CCNA Voice Lab Kit and then add some accessories to it now. The reason you have to do this is the Voice Lab kit really only requires two routers and two switches. So we have to add the third router and third switch for your CCNA lab setup. So you can pretty much add any 1841 or better router, plus 3 WIC-2A/S modules, two smart to smart serial cables and a 2960-S or better switch. We know this can all be a little confusing, so don’t hesitate to use the Contact Us form in the upper right to ask questions. We monitor the mail box about 18 hours a day so we can reply back to you very quickly. We can also modify the CCNA Voice kit so it is less expensive if you are willing to compromise on some features. What Is the CertificaitonKits Trade-Up Program? In a nutshell something no other vendor is willing to offer to you and gives you that piece of mind that your equipment won’t get phased out without the opportunity to upgrade! For any routers or switches you purchase from us, we will allow you to trade it in for a higher priced router or switch in the future as your Cisco certification lab grows for 100% of our retail value of the unit! This way you do not lose money upgrading your equipment. We are here to see you all the way up to CCIE as your Cisco certification partner! 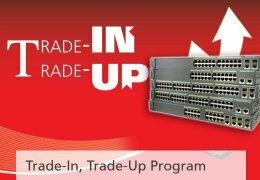 Please see the Trade-Up Program link on the left for full program details. Well, a few things. If you do not have a 9 pin serial adapter on your computer, please make sure you purchase a 9 pin serial to USB adapter! This is available as a checkbox upgrade in the menus on every single one of our kits. Why is that? Because the console kits that Cisco includes with all their routers and switches is for a 9 pin serial adapter. Why doesn’t Cisco include a usb style adapter? I venture to say that they don’t want to get into the business of supporting drivers for Windows, Macs, Linux, etc. Finally, we highly suggest you checkout our CCNA Study Center section of our website. Here you will find access to over 350 CCNA articles explaining the most difficult concepts to master. That is not it, you will also have access to over 100 CCNA R&S, CCNA Security and CCNA Voice labs that are ok, but not up to the standards of our lab workbooks. Why are they only ok? They do not include the detailed commentary and troubleshooting notes that you will find in our labs in our workbook. Our newly revised lab workbook is 450+ pages and took about 1,000 hours to create so it is very in depth. But there is more in this section too! You also get access to over 60 videos and tons of games to make your CCNA R&S studies fun such as exam questions, flash cards, CCNA Hangman, Jeopardy, Million Dollar Question and much more! Also go LIKE our Facebook page now CertificationKits Facebook Page to get your daily CCENT and CCNA Test Question of the Day and CCNA articles delivered to your Facebook news feed!